AN international consortium has sequenced the entire genome of durum wheat – the source of semolina for pasta, a food staple for the world’s population, according to an article published today in Nature Genetics. “We can now examine the genes, their order and structure to assemble a blueprint that provides an opportunity to understand how the genes work and communicate with one another,” said wheat breeder Curtis Pozniak of the University of Saskatchewan (USask), Canada. Durum wheat, mainly used as the raw material for pasta and couscous production, evolved from wild emmer wheat and was established as a prominent crop roughly 1500 to 2000 years ago in the Mediterranean area. 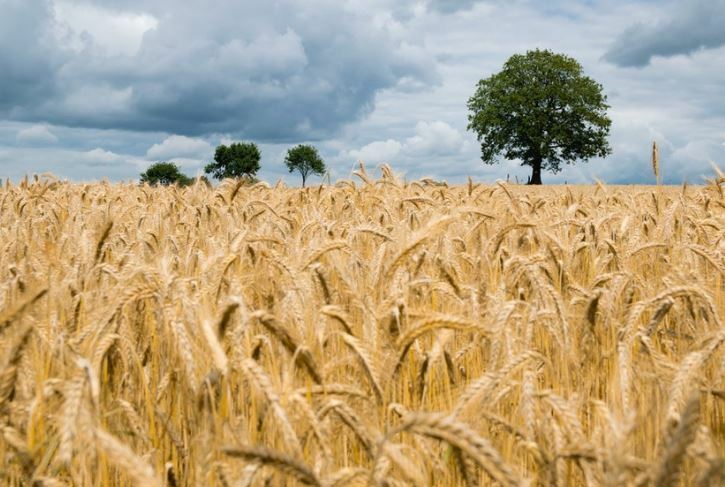 The team compared the durum wheat sequence to its wild relative and were able to reveal genes that humans have been selecting over the centuries. The scientists uncovered a loss of genomic diversity in durum wheat compared to its wild wheat relative, and they’ve been able to map these areas of loss and precisely recover beneficial genes lost during centuries of breeding. “Unlike in humans, durum wheat is a so-called polyploid and contains two genomes. How these genomes interact and coordinate their activities is a fundamental question that might also have impact on food quality and yield,” Klaus Mayer of the Helmholtz Zentrum in München (Germany) said. “Now that we’ve identified this gene, we can effectively select varieties that do not accumulate significant cadmium in the grain – levels well below World Health Organization standards which will ensure that our durum wheat products are more nutritionally safe,” Pozniak said. “Having this durum wheat high-quality genome sequence enables us to better understand the genetics of gluten proteins and the factors that control the nutritional properties of semolina. This will help to improve pasta quality traits,” Ceriotti said. “The selection of new durum cultivars with greater yield potential, as well as enhanced quality and nutritional properties, is critical for our future well-being, particularly in the face of climate change. The availability of the durum genome sequence is an essential tool to achieve these targets and provides a strategic bridge between the biodiversity of wild progenitors and bread wheat,” Tuberosa said. Access to the durum wheat genome is available at: http://www.interomics.eu/durum-wheat-genome and in the scientific database GrainGenes.